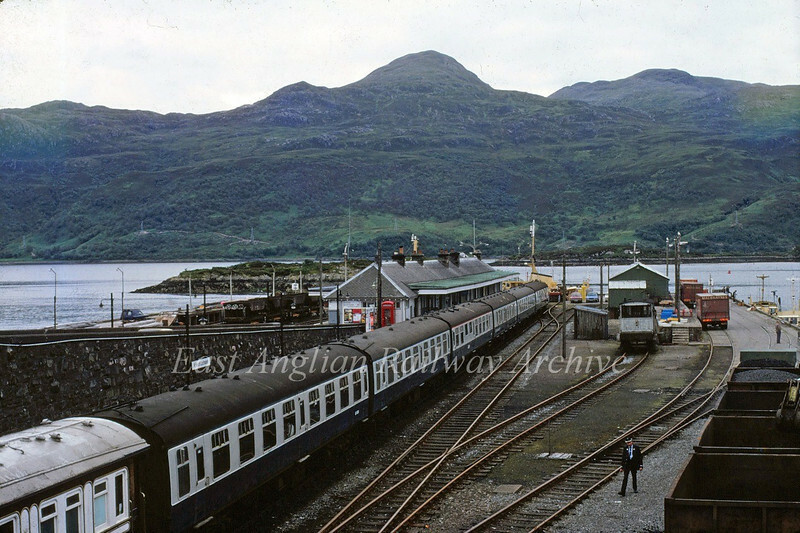 At the rear of the station was the Caledonian McBrayne ferry terminal with sailings to Kyleakin on the Isle of Skye across the water (Kyle Akin) in the background. The ferry service closed on October 16th 1995 after a new road bridge was constructed. Image dated 14th July 1980.